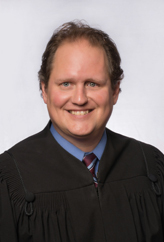 Judge James M. Maceroni graduated from Michigan State University with a Bachelor of Arts degree in 1996. He then received his Juris Doctorate from Wayne State University in 2000. Judge Maceroni was elected to the Circuit Court bench in November 2014. Prior to his election, Judge Maceroni was in private practice, specializing in Criminal and Family Law. He served on the Macomb County Charter Commission, helping to restructure Macomb County’s government.  Additionally, Judge Maceroni has served on the Board of Directors of the Macomb County Bar Association; as Chair of the Macomb County Bar Association’s Criminal Law Committee; and on the Board of Directors of Lakeshore Legal Aid. He was the proud recipient of the Macomb County Bar Association’s Distinguished Public Service Award, 2010-2011. Electronic filing is mandatory for all current e-File cases and new civil matters with “C”, “N”, “AA”, “AE”, “AP”, “AR” or “AV” case-types assigned to Judge Maceroni. After a complaint is filed in the Clerk’s Office, subsequent pleadings must be filed electronically on the Court’s eFiling website: www.truefiling.com. Additional information can be found on the Court’s eFiling webpage: http://macombgov.org/CircuitCourt-eFiling. Motions – may be adjourned by filing party by contacting Clerk. EDSC/Status/Settlement Conferences - requests for adjournments may be made by contacting Judge Maceroni’s secretary. If approved, a stipulated order stating the reason(s) for the request, the date to be adjourned and a new date must be stated in the order. Criminal matters – Contact Clerk. For most civil cases, the Court issues a standard Discovery and Case Evaluation Order setting the schedule for discovery, witness lists, dispositive motions and case evaluation. For the first request, Judge Maceroni will permit a 60-day or 90-day extension of the dates set forth in the Discovery and Case Evaluation Order by stipulation of the parties. All new dates must be listed in the order or it will be rejected. Any subsequent requests to extend the scheduling order dates must be made by motion and only will be granted upon a showing of good cause. If a Case Evaluation Hearing has already been scheduled, the parties must pay the $150 adjournment fee prior to submitting the order for entry. For new civil cases with “C” case-types, the Court conducts an Early Disposition Settlement Conference. Clients are not required to attend. Attorneys attending the conference must be thoroughly familiar with the case and be prepared to discuss scheduling, anticipated discovery issues, and any other issues that should be brought to the Court’s attention. Requests to submit a case to facilitative mediation under MCR 2.410 and 2.411 may be made by contacting Judge Maceroni’s secretary. If approved, a stipulated order is required (you may use this form). If the parties are unable to agree on a mediator, the Court will select a mediator in the manner provided by MCR 2.411(B)(3). The Court requires that facilitation occur within 60 days, unless good cause is shown for an extension.